Snapchat users, the day you’ve been anxiously awaiting has finally arrived. You no longer have to jump through hoops to get your hands on Snap’s insanely popular face-mounted camera. 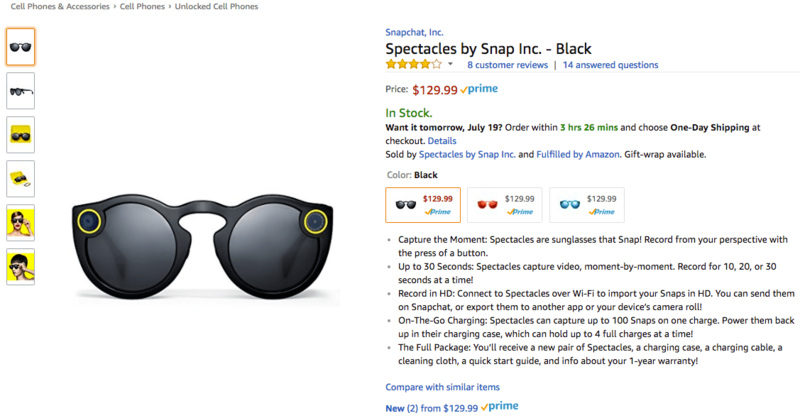 That’s right… the Snapchat Spectacles are finally being sold through Amazon! 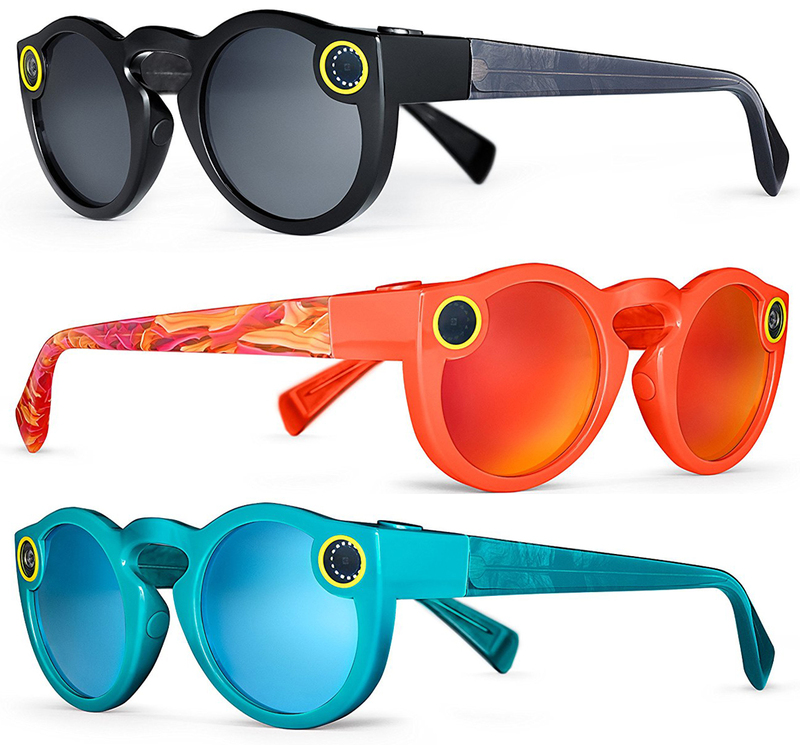 Initially, Snapchat Spectacles were only available for purchase from pop-up vending machines across the US. Then in February, the company started selling them on their website. Even after all these months, Snapchat gives an estimated delivery date of 5-10 days. They are a pair of fashion sunglasses with a built-in camera that lets you record videos up to 30 seconds long and then share them on the social media platform. Once the glasses are paired to your smartphone, you can start recording video by pressing the button on the top left side, above the camera. 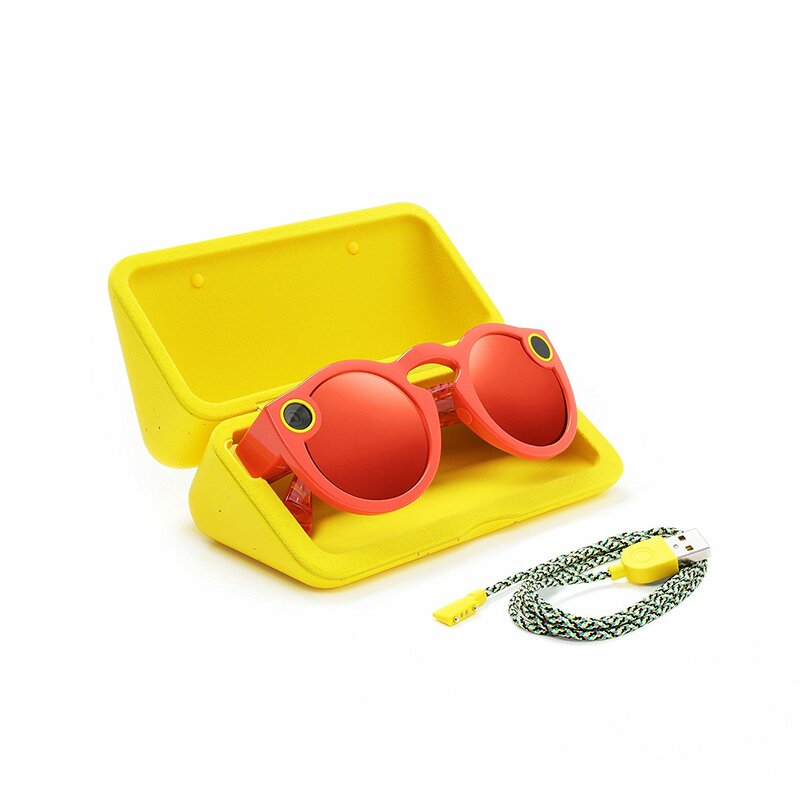 The sunglasses also have an indicator on the right side that lets people know when you are recording something. Capture the Moment: Record from your perspective with the press of a button. 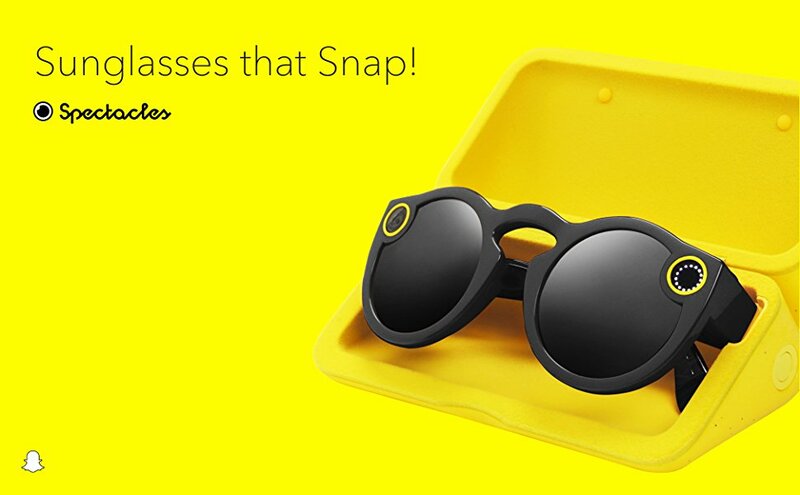 Up to 30 Seconds: Spectacles capture video, moment-by-moment. The record for 10, 20, or 30 seconds at a time!